Eliminate Those "I Have Nothing To Wear Meltdowns" For Good! Set your mindset for success, learn exactly how to clean out your closet, and set the foundation to a wardrobe that actually works! 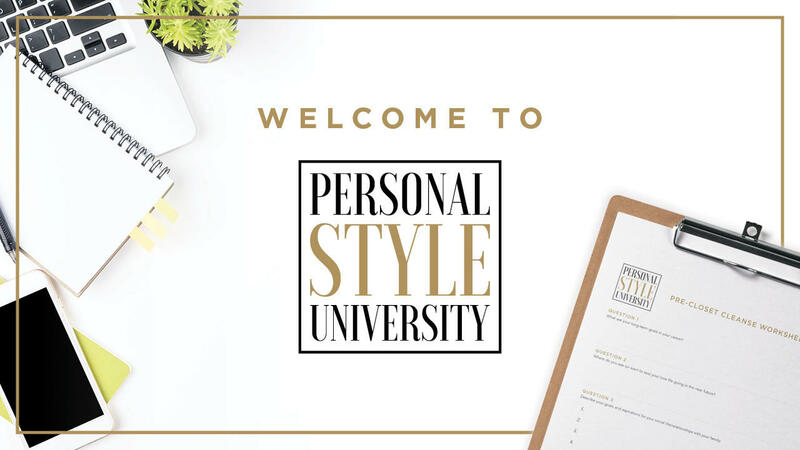 Learn how to craft a style that is personal to you, your lifestyle, and your life goals. No more cookie cutter outfits that match your vibe. Yes it is possible to enjoy, even love shopping for clothes. Learn how to shop like a stylist and build a closet that only has items you love. Discover the anatomy of an outfit and learn how to easily get dressed and look your very best in minutes! Don't let your style slip away! Just like diet and exercise, your transformation doesn't stop once you've hit your desired result. Find out how to dress for your body type, style outfits, take your measurements, and more! Make sure you're signed up for my newsletter!